A Review of Tim Passmore, Dawn DeVries, Thea Kavanaugh, and Kristin Fedesco’s (2018, Sept. 13) presentation, How Do I Ensure My Recreational Therapy Program is Covered and Following ATRA Standards of Practice, Presented at the 2018 ATRA Conference, Grand Rapids, Michigan. 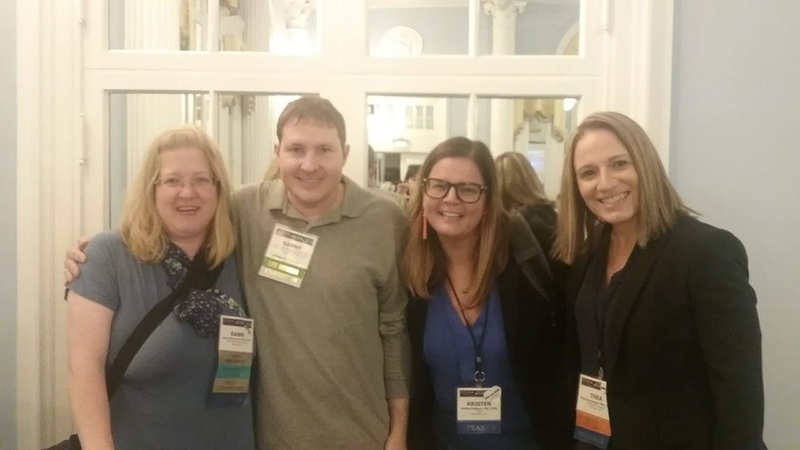 Danny Pettry (author of this blog entry) had the opportunity to attend this pre-conference institute at the 2018 ATRA conference. The focus of this session was ensuring that Recreational Therapy is covered in a verity of settings, including: Inpatient Rehabilitation Facilities (IRF); Inpatient Psychiatric Facilities (IPF), Skilled Nursing Facilities/ Units (SNF/ SNU), Public Schools, and other settings that Recreational Therapy is provided. The four presenters are the co-authors of the, Coverage of Recreational Therapy: Rules and Regulations (3rd Edition). Danny Pettry: I feel extremely grateful for those in the profession who have donated their own personal time to study and learn about regulations and to educate us recreational therapy practitioners about them. Professional associations have the task of creating Code of Ethics and Standards of Practice for their professions. The American Therapeutic Recreation Association (ATRA) has published, Guidelines for Ethics Practice in Recreational Therapy: a training manual and Standards for the Practice of Recreational Therapy & Self-Assessment Guide. It is vital that professional recreational therapists are in compliance with the code of ethics and standards of practice for recreational therapy. Recreational therapists who are not members of ATRA are still held to these standards. 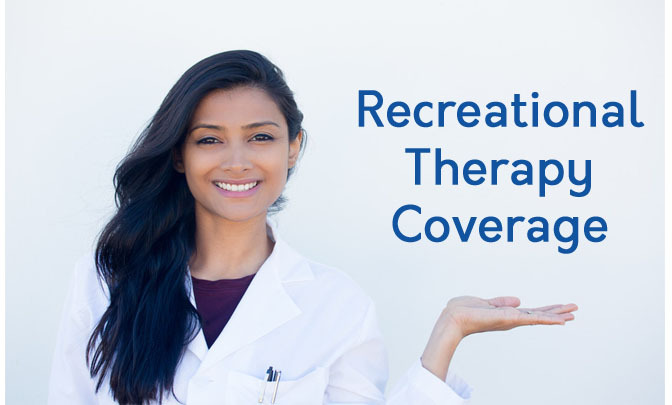 The American Therapeutic Recreation Association (ATRA) is here for all recreational therapists (even though all recreational therapists do not contribute to ATRA. The Standards of Practice in Recreational Therapy applies to all settings. Physician’s order for assessment and treatment in settings where appropriate. The attending physician determines what is medically necessary for recovery. Assessment to identify strengths and areas of needed improvement. The assessment must be appropriate for the setting. Goals and Objectives: to bring about a functional change. This will include interventions for meeting objectives. Documentation of provision on services. Progress notes document services provided. Progress notes are easier to write if you have measurable goals and objectives. Recreational therapy is about the APIE process (assessment, planning, implementing, and evaluation) regardless of the setting. It is important that Recreational Therapists stay in their own scope of practice. It is important that recreational therapy is an active treatment that meets the above. There are some things that are not covered. These include: diversion, recreation, palliative, and non-goal directed activities. Recreation, leisure, and play are the foundations of Recreational Therapy. CMS does not pay for diversion. It must be active treatment. Recreational therapy (as active treatment) is covered service in Inpatient Rehabilitation Facilities (IRF). Facility Administrator: They want to assure that services are delivered and to keep the business in the black. Recovery Audit Contractors (RAC) – They could determine that a facility must pay money back if services were not adequately provided. The Protective Payment System (PPS) for all IRFs and IPFs are based on diagnostic groups. The Diagnostic Related Group (DRG) calculates the rate of payment. Recreational Therapy is used in the calculation for all PPS. Recreational therapy outcomes are important. It is vital that you (the recreational therapist) is assisting the patient with an outcome when you’re (you – the rec therapist) is working with them because CMS is paying a lot of money. There are several regulator bodies, like the Joint Commission (formerly JACHO), The Commission on Accreditation of Rehabilitation Facilities (CARF), and CMS. American Therapeutic Recreation Association (ATRA) consists of people who volunteer their money and time to advocate for recreational therapy. Everyone involved in ATRA are volunteers. IRF has the 3-Hour Rule, which consists of 3 hours of therapy per day. An entire partial program must have allied health professionals. The program can’t consist of only Recreational Therapists. Activities like movies, or recreation activities, social oriented activities are not covered. Basically, that would consist of a person being billed $50 to play a game of dominoes. There must be a functional outcome goal associated with recreational therapy treatment. This consists of: why did you do it? What did you provide the activity that you provided? Recreational therapy must adhere to the APIE process. There is a Patient-Dirven Payment Model (PDPM). It is about maintenance and restorative. Trend: There in recreational therapy in the school system all across the nation. Public Law 94-142 was passed in 1975 to provide education for children with handicap needs. Individuals with Disabilities Education Improvement Act was passed in 2004. IDEAS Part C is for birth to 2. IDEAS Part B is for ages 3 to 21. Learning disabilities, speech/ language, health impairments, intellectual disabilities, autism, and emotional disturbances. Recreational Therapy is listed as a related services. It is # 11 in 300.34. Every state gets federal IDEA related services. Recreational therapy must have assessment, be planned and purposeful, and age appropriate. Leisure education in public schools consist of: coping skills, skills development, education about resources. Currently, recreational therapy is provided in community settings. The Coverage of Recreational Therapy book does not include a summary of community setting at this time. Future revised edition of this text will include community settings. Please contact Dr. Tim Passmore or ATRA if you’re interested in writing the section on Coverage of Recreational Therapy in community settings. American Therapeutic Recreation Association. (2015). Standards for the practice of recreational therapy & self-assessment guide. Reston, VA: American Therapeutic Recreation Association. Passmore, T., DeVries, D., Kavanaugh, T., & Fedesco, K. (2016). Coverage of recreational therapy: rules and regulation. (3rd ed.). Reston, VA: American Therapeutic Recreation Association. Passmore, T., DeVries, D., Kavanaugh, T., & Fedesco, K. (2018, Sept. 13) How to I ensure that my recreational therapy program is covered and following ATRA standards of practice. Presented at the 2018 American Therapeutic Recreation Association Conference, Grand Rapids, Michigan: American Therapeutic Recreation Association. Pollock, W., & Montgomery, N. (2018). Guidelines for ethical practice of recreational therapy: a training manual. Reston, VA: American Therapeutic Recreation Association. Interesting. I am always learning. Recreational Therapy throughout needs to let others know more about all of us. Thank you.